Understanding the risks and benefits of co-living housing models for older people. The financial security and welfare of older people living in these schemes being supported through appropriate government policy, legislation and practice. To improve understanding of the ideas that have potential to create change. Many vulnerable older people face challenges of poor housing, disability, financial poverty, loneliness and lack of access to support. Recently, new models of co-living for older people have developed, hoping to provide solutions to some of the housing challenges faced by older people. These models take various forms, for example, co-living developments, where older home-owners pool resources to purchase homes with other older people; or home-sharing schemes to accommodate lodgers who provide help with household chores in return for low cost rent. Cambridge Centre for Housing & Planning Research is assessing co-living housing for older people, with regards to the benefits, risks and potential for models to be offered at scale. The initial phase for this project was a desk-based literature review of existing evidence about the benefits and risks of older peoples’ co-living. The review considers the relevant institutional, legal and financial frameworks that impact upon older peoples’ co-living. Cambridge Centre for Housing & Planning Research has also undertaken interviews with experts and stakeholders into the different models of co-living. Policymakers, so they are more informed about co-living housing models for older people. The report will make recommendations for policy and practice. 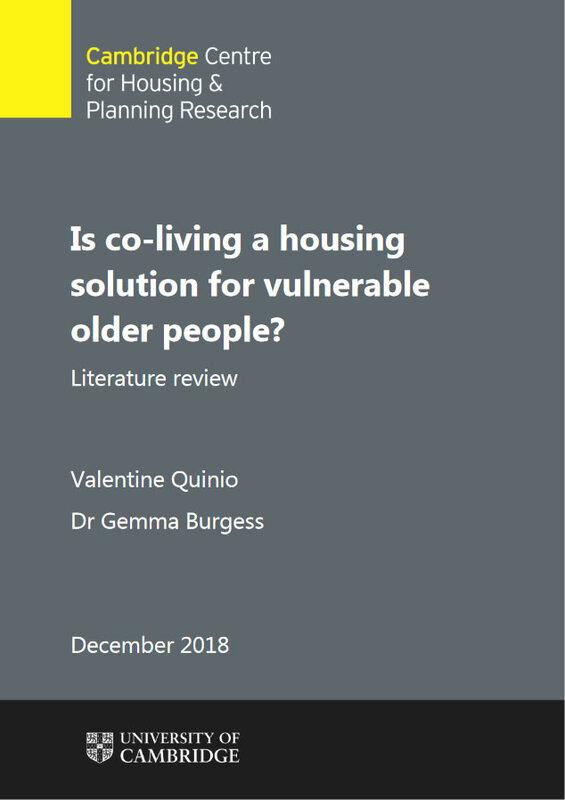 Older people’s advocacy and advice organisations, so they understand the benefits, complexities and potential risks of co-living schemes and can advise older people accordingly. 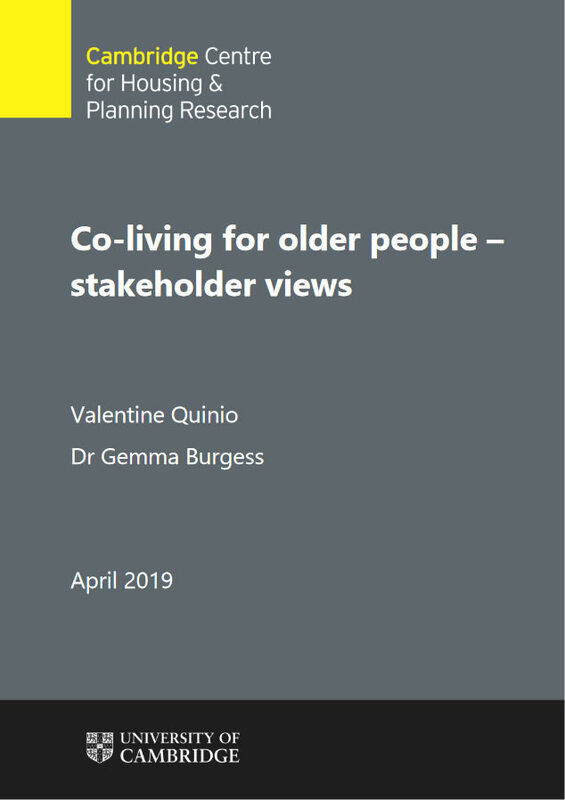 The general public – particularly older people, so they have a better awareness of co-living, with a guidance document for older people considering co-living being produced. This project has also received funding from Nationwide Building Society.